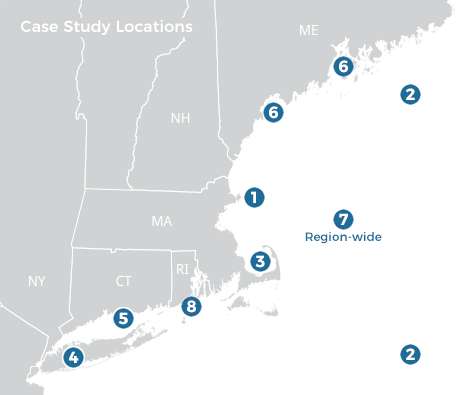 These case studies provide examples of the many ways that public- and private-sector organizations use the Northeast Ocean Data Portal. Icons indicate ocean uses related to each case study. More case studies are in development and will be posted on an ongoing basis. Follow us on Twitter or subscribe to our email list to be notified of new case studies. How do you use Northeast Ocean Data? Do you have an idea for a case study? We’d love to hear about it: [email protected].